In my lifetime of wine drinking, I have to say I’ve never had the pleasure of tasting Georgian Wines. 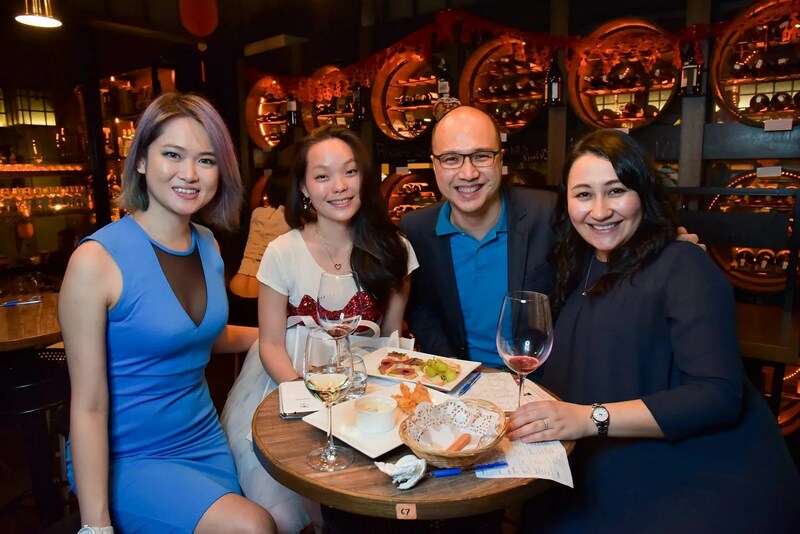 So it was an eye-opening (palate opening, more accurately) experience when I attended an intimate wine tasting session organised by Eurasia Trading at The Barn, Mont Kiara. Little did I know, that the wine of Georgia has been popular among the post-Soviet Union countries for many years. 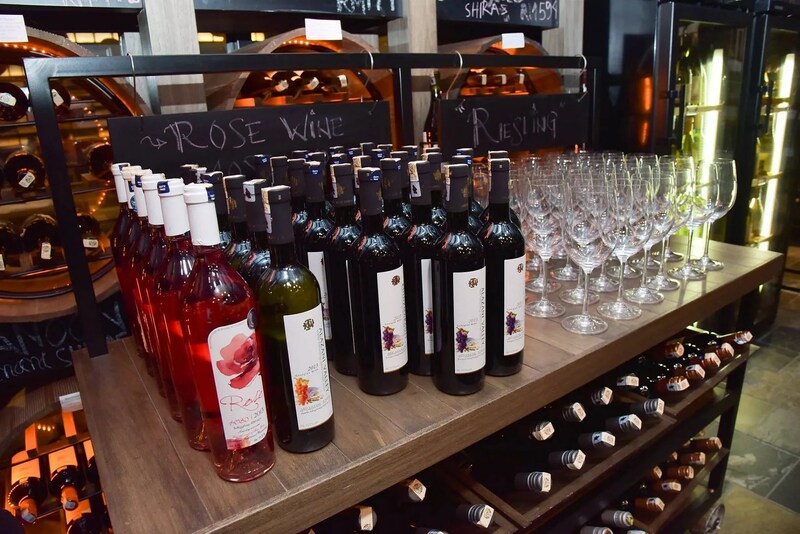 It is only in the recent years that Georgian wine expanded its markets and introduced the rest of the world to this unique variety of semi-sweet wine. Georgia is often called “The Cradle of Wine”, with the earliest artifact of viticulture being 8,000 years old. The climate of Georgia is marked by sunny summers and frost-free winners, and the presence of natural mineral rich streams and the Black Sea makes the soil fertile, creating ideal conditions for vine cultivation. There are over 500 traditional grape varieties in Georgia, and around 10% are used in commercial wine making. The traditional method of winemaking in Georgia involves crushing the grapes and pouring the mixture into a Kvevri, a clay jar resembling the shape of an amphora, for fermentation. The period of fermentation generally goes up to around 2 years. This method gives the wine a firm tannic texture and ensures a longer shelf life without any artificial preservatives. And that brings me to the story of Eurasia Trading. 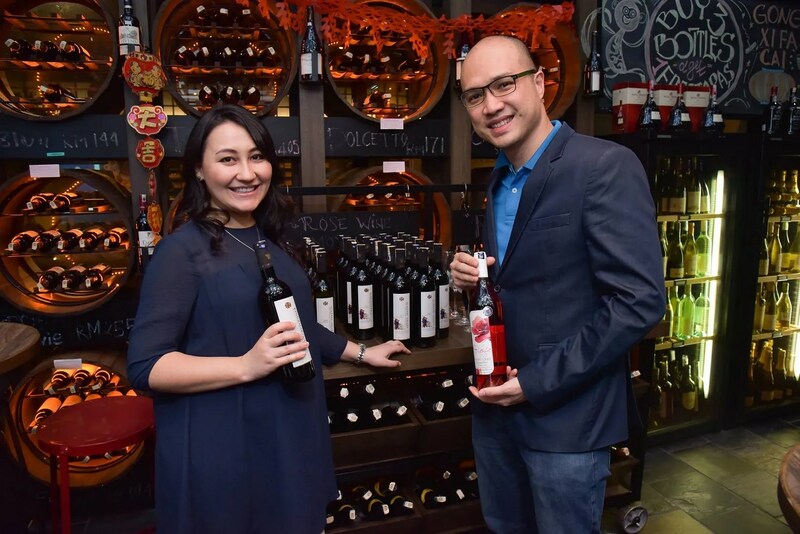 Long story short, Elya Tleuzhanova from Kazakhstan met Malaysian-born Stanley Chee and sparks flew, they are now happily married and started this company together as they share a common interest in fine wine. Thanks to them, we are now able to enjoy the delicious Georgian wine as well. 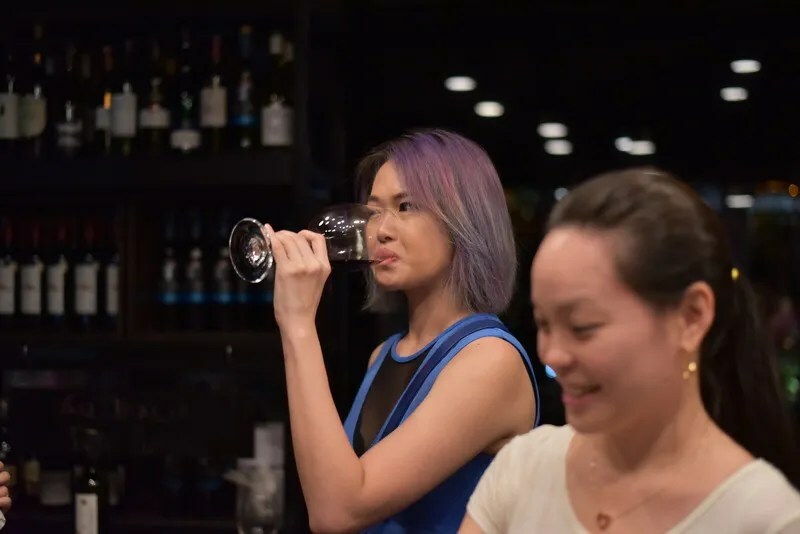 There are currently 5 different wines under Eurasia Trading, and I can first tell you that these are great for those who tend to avoid dry or full-bodied wines. 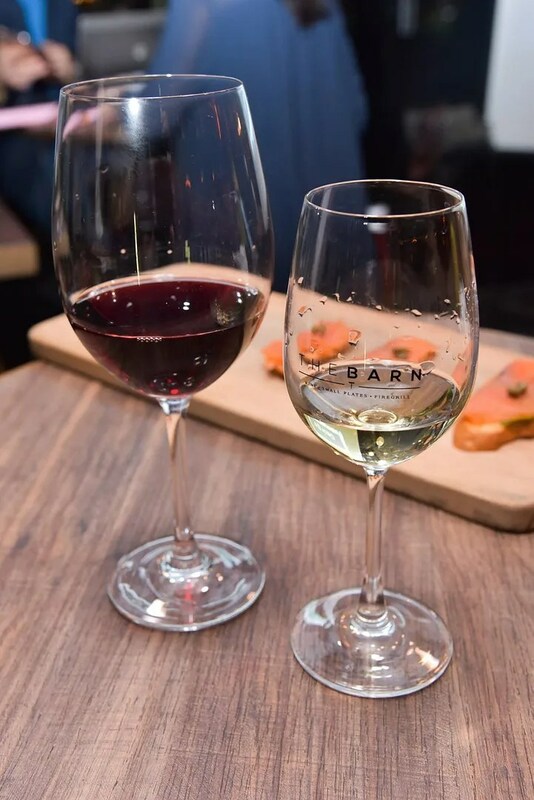 The wines are naturally semi-sweet obtained through temperature control settings in order to stop fermentation process and keep the natural sugar level. 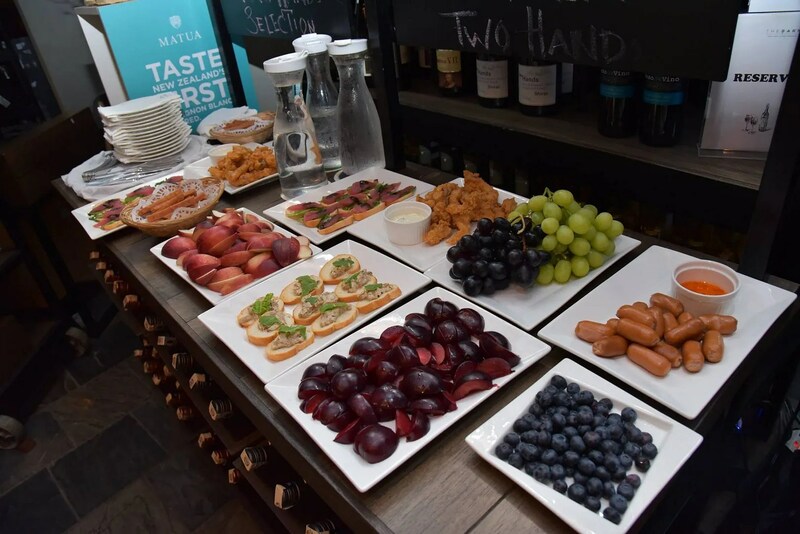 As I arrived at the event slightly late following a food review earlier in the evening, I managed to catch the tail end of it and tasted some of the wines. First is, of course, the Alazani Valley White. Made with a mixture of Grapes called Rkatsiteli, Kakhuri Mtsvane, Tsitska and Tsolikouri, this wine has an intense straw colour with the aroma of citrus and honey. Very delicious and fruity, best served with cheese, seafood and even spicy food. Here I was caught sipping on the Alazani Valley Red Semi-Sweet Wine. Made with Saperavi, Aleksandrouli and Odjaleshi grapes, this one has a rich garnet colour, and while nosing it releases aromas of blackberry and cherry. The taste is harmonious, balanced with a pleasant fruity freshness and a long finish. It caught me by surprise as I didn’t expect it to be this sweet. Certainly very different from the Red wines we usually get here, and I’d be happy to sip on this along with some fruits and maybe more cheese. Some of the finger food at The Barn to supplement the wine tasting experience. My favourite is actually the Rose, however, as it is the least sweet of the lot (yes I know I’m kinda fussy with my wine). Made with Saperavi, Muscat and Mtsvane, its gorgeous redcurrant colour was reached through special technology, when grape skin is the leg for contact with grape juice for maceration for about 8-10 hours. This wine has velvety, fruity taste, with light flavour of May roses (according to its description, I have not developed palate fine tuned enough to detect the month of the roses). The 2 wines that I missed out on tasting was the Kindzmarauli, another Red made with Saperavi Grapes, a saturated garnet-coloured wine with an elegant bouquet of pleasant varietal fruit. The taste is harmonious, balanced, with aromas of blackberry and blackcurrant. The other was a Red Moscato, made using a unique antique method, keeping the 8000 years of Georgian winemaking traditions. Dark garnet coloured wine is enriched with the pleasant aroma of rose, blackcurrant and cherry. It is characterised by long-lasting, well-balanced ending with fruit tones and pleasant sweetness. Do bear in mind that the alcohol content of these wine is generally a little lower due to the higher sugar content (most of them are around 11.5%). Here Poesy and I caught having a somewhat animated conversation over something. Thought I’d insert the photo because I like my hair here. To order and for more information, simply head over to their website https://www.eurasia.my/. You can buy online using PayPal, credit card, debit card or bank transfer. They will ship to all cities in Malaysia and it usually only take 1 to 4 working days. And here’s something even better: I have a promo code for you! Use “KELLY10” when you check out and receive 10% off (valid until 9th April). Thank you, Elya and Stanley for the wonderful introduction to Georgian wines.